2 of 2 In a small bowl, combine the graham cracker crumbs, sugar, salt and melted butter until evenly moistened. Transfer the crumb mixture to a 13 x 9 x 2-inch baking pan; press crumb mixture evenly over the bottom and up sides of pan. 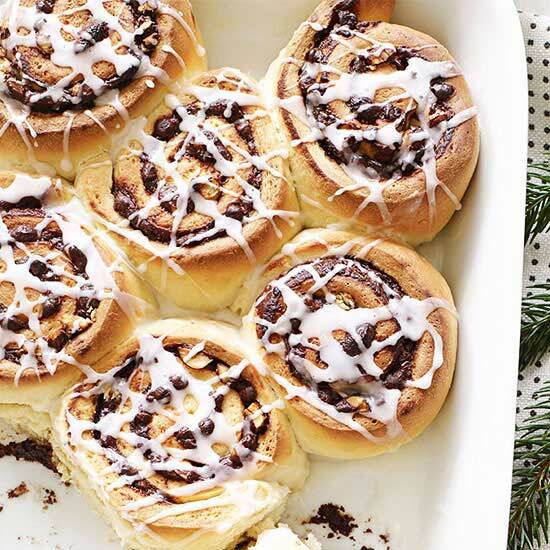 Refrigerate until chilled and set. 1 of 4 Combine the bittersweet chocolate and butter in a microwave-safe glass bowl. Microwave chocolate mixture 1 minute. Stir the chocolate mixture until smooth. If necessary, microwave another 15 seconds to melt. 2 of 4 In a large bowl, beat together the eggs and sugar on medium-high speed until well blended. Reduce the speed to medium and gradually add the melted chocolate mixture; beat until smooth. 3 of 4 Stir the flour and salt into the egg mixture; stir in vanilla until smooth. Scrape the brownie mixture into the crust-lined baking pan; smooth the top level. 4 of 4 Bake at 350 degrees F for 30 minutes or until toothpick inserted in center tests clean. 1 of 3 Meanwhile, whisk together the marshmallow cream and the milk until well blended and smooth. 2 of 3 Pour the marshmallow topping mixture over the brownie layer. Tilt the pan to level the topping or spread it, covering the brownie layer completely. 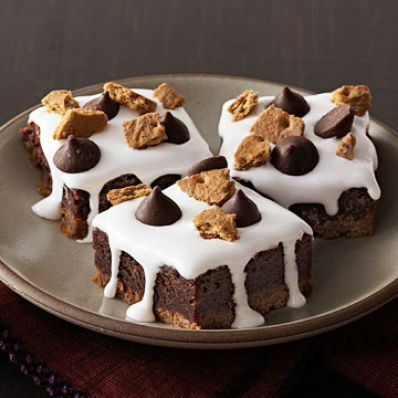 3 of 3 Sprinkle the mini chocolate Kisses evenly over the marshmallow topping, then scatter the broken graham crackers over the top. Bake at 350 degrees F for 3 minutes or until the chocolate Kisses are glossy and the marshmallow topping is set. Let cool completely in the pan on a wire rack. Cut into 24 bars.